Low stool on swivelling, chromed steel base. The shell with low backrest is in wood in three colour finishes (natural oak, bleached oak or wengé stained). Seat height 64 cm. 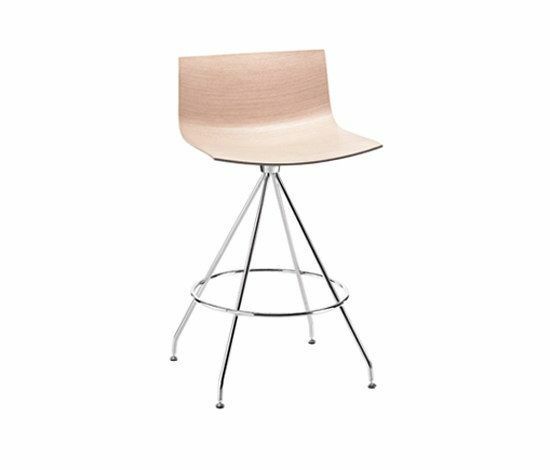 Backrest height 88 cm.